Whatever Happened To Ronald McDonald? Bada Ba Ba Ba...I'm Missing Him? 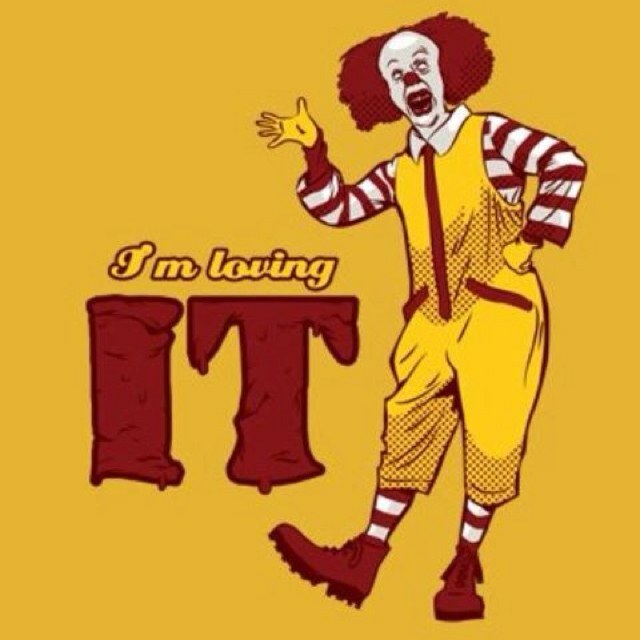 For years McDonald’s has been associated with their mascot Ronald McDonald, the oddly charming and occasionally terrifying clown. Yet for the past few years, this staple icon in American culture has seemingly vanished into fried vapor. 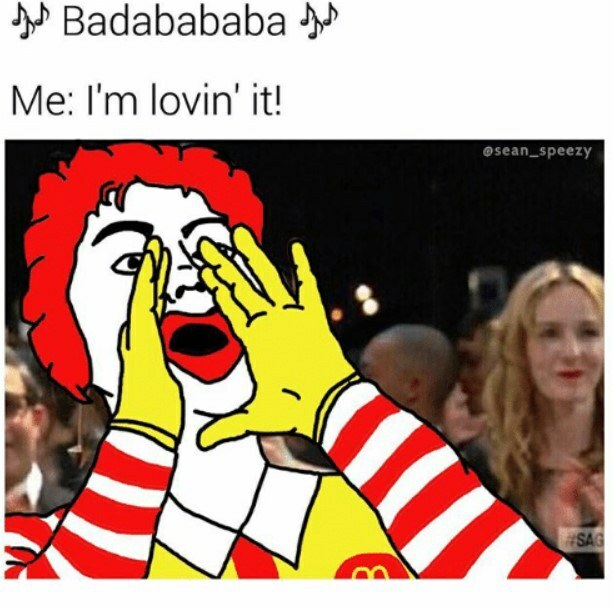 Where in the world is Mr. Ronald McDonald? Has he fallen victim to the cardiac arrest, so often attributed to the type of food he promotes? Has he decided to join forces with IT’s Pennywise the Clown? Has he simply taken an elongated vacation away from the stresses of promoting fast-food culture? The choice of using Ronald McDonald as McDonald’s infamous mascot has often been criticized throughout the last decade or so. 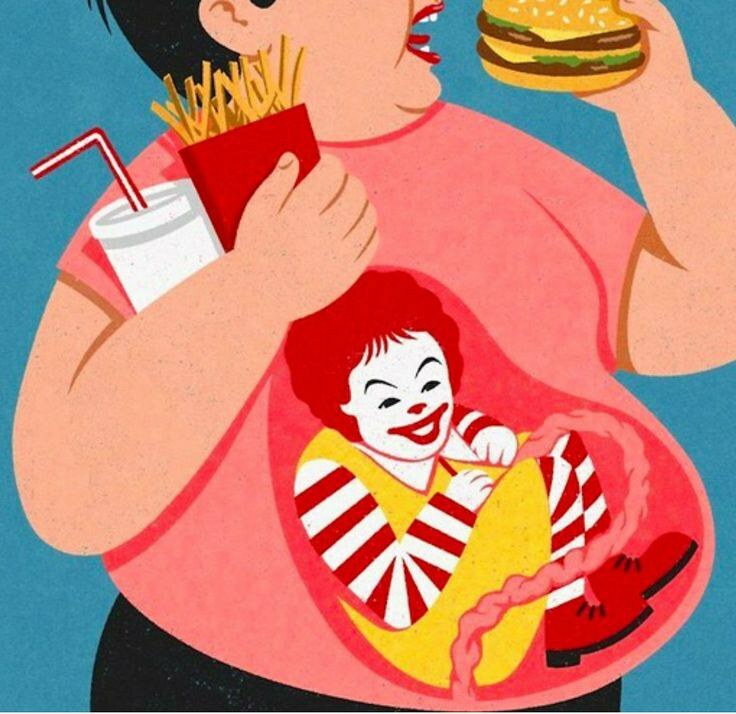 In 2010, the Corporate Accountability International in Boston, Massachusetts suggested that the Ronald McDonald should be retired due to childhood obesity in the United States. 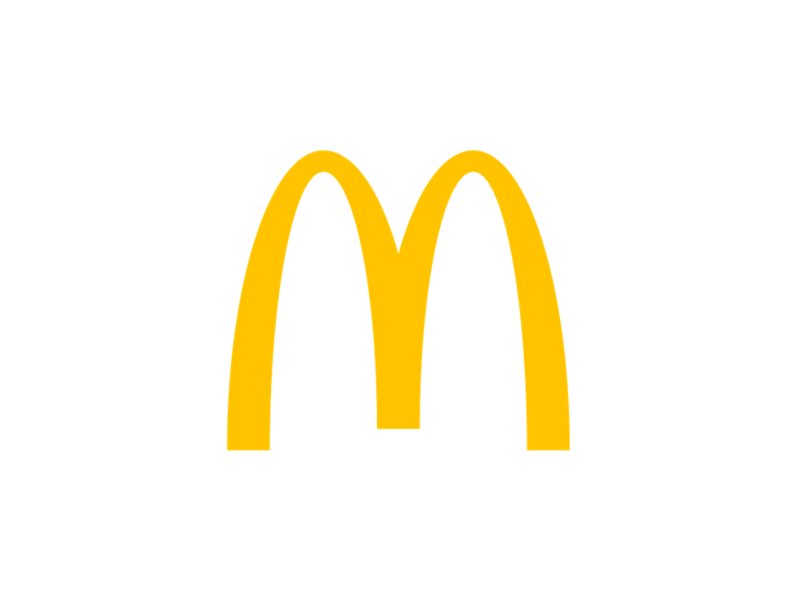 In 2011 Corporate Accountability International renewed their call to retire Ronald McDonald, by running ads in major newspapers and launching several web pages dedicated to the retirement of the character. 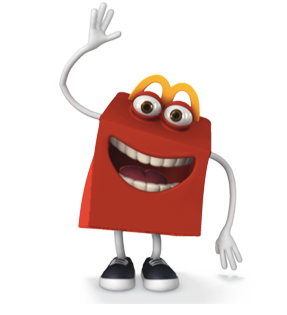 In 2014, McDonald’s introduced a new mascot, ‘Happy’, a living McDonald’s box with a smile that has managed to worm its way into nightmares and cause widespread Internet hatred from its appearance. Yet it has only been in the past handful of years that major criticism towards Ronald McDonald has come into light following various instances of clown attacks and media presentation. Thus, Ronald McDonald’s appropriateness at public events and his overall general presence is suddenly being called into question. The creepy sightings began to popularize in 2016, mainly beginning in Greenville, South Carolina. Several children told authorities that a group of clowns offered them money to follow them into the woods-the suspects were never found. (CREEPY). 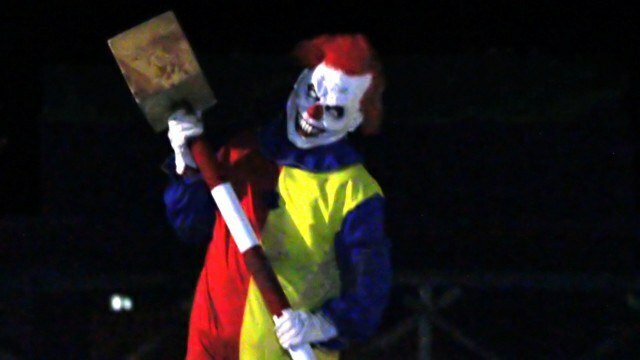 Since then, there have been hundreds of reports and rumors of strange clown sightings across the country (one rumor even in my hometown of Mahwah, New Jersey), some which have turned drastically violent. Even the media has joined in on the ‘fun’ in twisting the narrative of clowns towards that of being fear-invoking. This can be seen with the increased clown exposure stemming from the now popular feature "IT" as well as television shows such as "American Horror Story: Freak Show" and "American Horror Story: Cult" where the image of clowns are far from friendly and are quite sinister in both appearance and intent. Although it may seem fun and games, this widespread fear and negativity have managed to affect the lives of real-life clowns as well. These performers are now being shunned and ostracized due to shifting viewpoints. 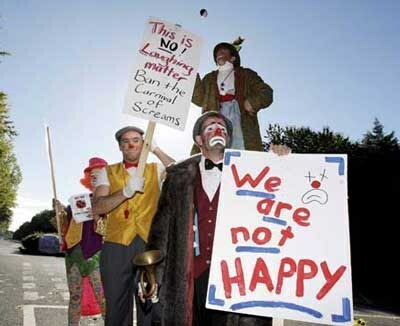 This has lead to various publicized clown protests in the past few years to fight the public shaming. But anyway, back to Ronald. I’d like to say that he’s currently experiencing a nice, deep hibernation as society and culture continue its endless shifting viewpoints and values. When will we see him again?